With utmost care and attention to every detail, Woodrow Blagg creates each of his drawings using only graphite and paper. Demonstrating a mastery of his medium, his photorealistic pieces depict dramatic scenes of life in the West. Growing up in Texas, Blagg developed a deep appreciation for the ongoing rituals of ranch life and cowboy culture. Though he lives in Pennsylvania today, his love for western culture and imagery is as indelible as ever. Blagg grew up in a family of 10 children, four of whom became artists. You could say creativity and talent is in his blood. 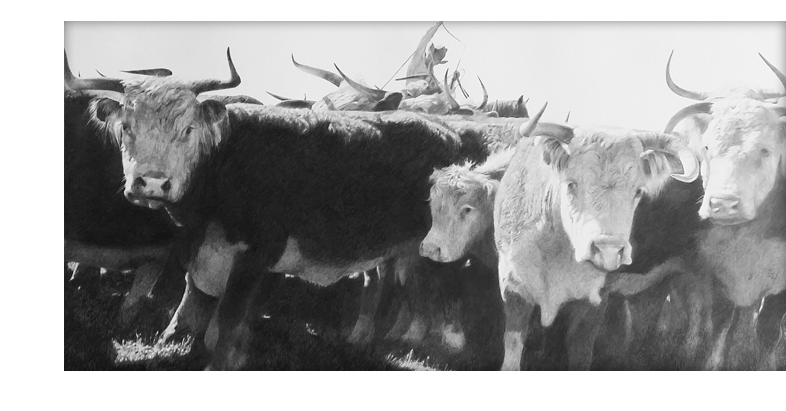 We are very excited to introduce our newest piece called, “Mother’s Day” a 30 x 48 inch pencil drawing that depicts a cowboy working with cattle. 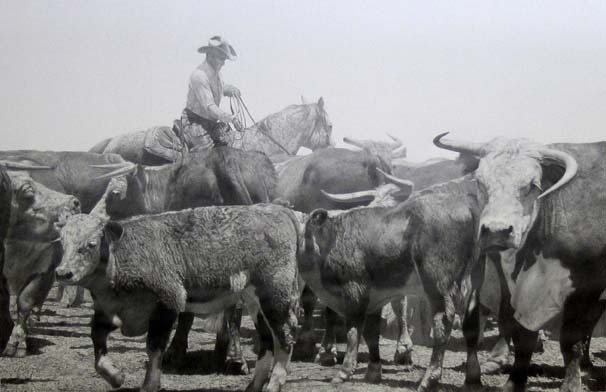 This powerful image really shows Blagg’s interest in the hard physical labor seen on a ranch as well as his understanding of the anatomy of both humans and cattle.